together in a creamy, potent and giant bar of magical spiritual soap. Goats Milk Soaps & Spiritual Goats Milk Soaps ~ Magical Goats Milk Soaps for Peace & Healing Rituals! 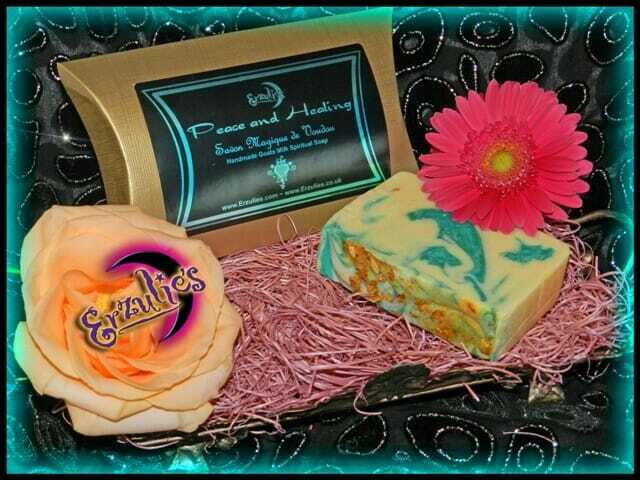 Bring peace & healing into your life everyday with this exquisite, handmade, organic goats milk soap handmade pure essential oils, finely ground organic roots & herbs, renowned for spiritual healing, bringing peace, calming and balancing. Just wash each day when you need to find peace, balance and to facilitate the healing process from any emotional, spiritual or physical trauma. The Ghede Vodou Spirit Soap ~ In-Store Exclusive! La Siren Vodou Spirit Soap ~ In-Store Exclusive! Ogoun Vodou Spirit Soap ~ In-Store Exclusive!